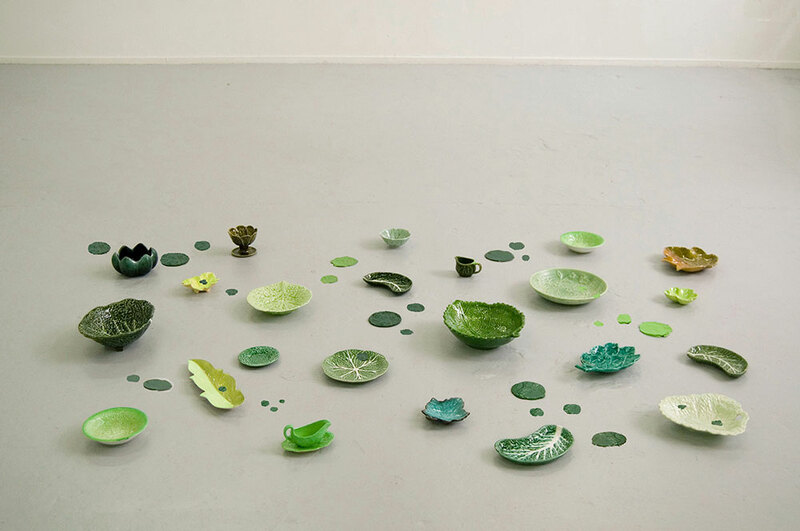 This installation consists of a group of leave-shaped plates from all over the world. The plates have been splashed with colour samples which are taken from plants growing in the direct local environment of the exhibition site. Leave-taking is conceived as a site-specific installation were the colour samples change with the site. The work is about biodiversity and how plants adapt and change depending on their environment.